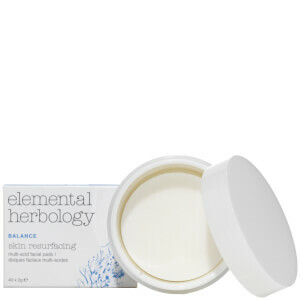 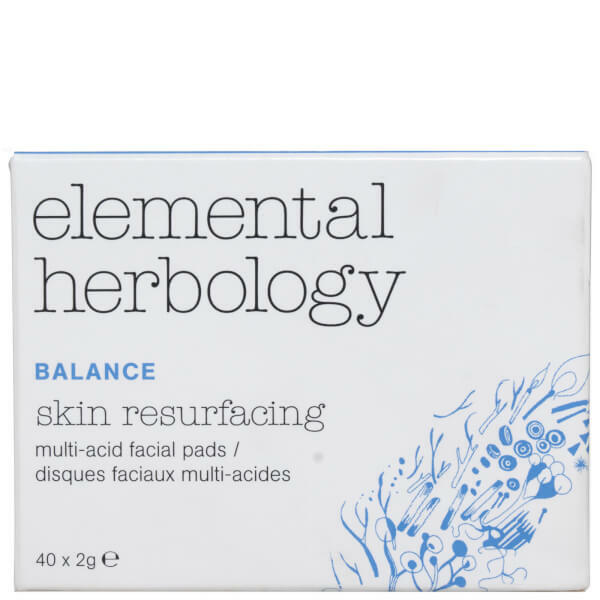 Improve skin's overall appearance with the AHA Multi Acid Skin Re-Surfacing Pads from Elemental Herbology. 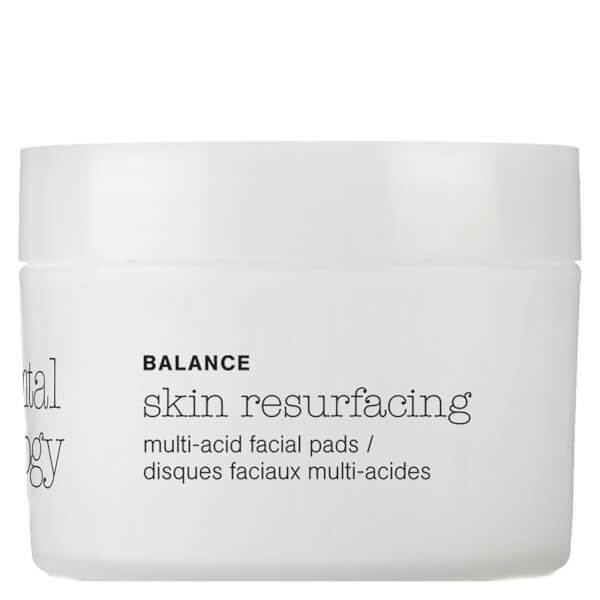 Infused with a cocktail of natural Alpha Hydroxy Acids, the treatment pads sweep effortlessly over the face and neck to smooth and refine. Combining soothing Aloe Vera and Arginine (a peptide with anti-inflammatory and antioxidant properties), the pads promote natural exfoliation for a lighter, brighter complexion with even tone and texture. 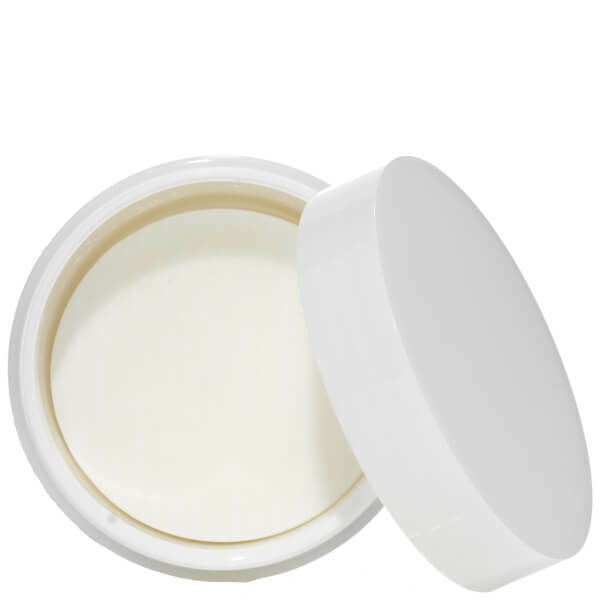 Ideal for targeting fine lines, wrinkles, pores and breakouts. 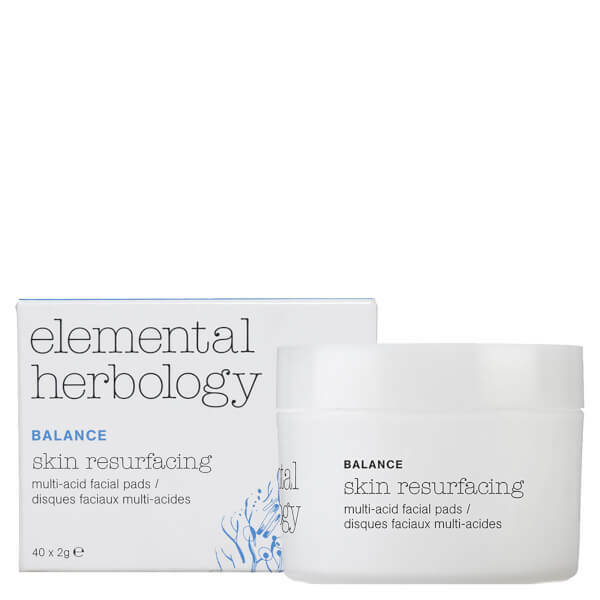 Aqua (Water), Glycolic Acid, Vaccinium Myrtillus (Bilberry) Fruit Extract, Arginine, Polysorbate 20, Saccharum Officinarum (Sugar Cane) extract, Propanendiol, Sodium Hydroxide, Benzyl Alcohol, Citrus Aurantium Dulcis (Orange) Fruit Extract, Citrus Limon (lemon) Fruit Extract, Allantoin, Betaine, Citrus Aurantium Dulcis (Orange) Peel Oil Expressed, Acer Saccharum (Sugar Maple) Aloe Barbadensis Leaf Juice Powder, Ethylhexylglycerin, Phytic Acid, Dehydroacetic Acid.